Acid has long been used in oil drilling operations in Florida to dissolve and loosen the limestone bedrock. But a drilling operation near Naples, on the western edge of the Everglades, was something new. In December, Texas-based Dan A. Hughes Co. injected acid under pressure there — a process not used before in Florida. Florida regulators asked the drilling company to suspend the operation while the state studied the process. The company refused. "Within a matter of hours after we realized that the process was going forward, I issued a cease and desist order," says Herschel Vinyard, secretary of Florida's Department of Environmental Protection. Despite the cease and desist order, Vinyard says, the company continued the work anyway and completed its operation. Eventually, Florida and the driller signed a consent agreement, and the company agreed to pay a $25,000 fine and install groundwater monitors. But in Collier County, where local officials, residents and environmental groups had already been raising concerns about the new drilling, the dispute between Hughes and the state remained secret. More than three months after the cease and desist order was issued, Collier County officials finally learned about it through a press release. "One of the frustrations with the Board of County Commissioners is all of the information that we've been receiving has been through the media," says Tim Nance, a Collier County commissioner. There have been oil wells in this area of Florida for more than 70 years. What has raised concerns now are the new technologies — horizontal drilling and advanced extraction techniques — and what risk they may pose to the area's groundwater. County commissioners asked state officials for a public meeting without success. Finally, Collier County went to court asking the state to revoke the oil driller's permit. It's similar to legal action to block fracking taken by local governments in other states like California, Colorado and New York. In Florida, Nance says the state needs to tighten regulation of drilling before the new oil boom goes any further. "Frankly, I'm very, very concerned about how well sites in the future that are near residential properties are going to be managed — because that's my No. 1 concern," Nance says. To try to allay the concerns of county officials and residents, Florida's Department of Environmental Resources recently installed its own groundwater monitors and says preliminary results show no evidence of contamination. Jennifer Hecker, director of natural resource policy at the Conservancy of Southwest Florida, an environmental group, isn't reassured. She says the state needs to install deeper monitors — below the aquifer where Florida draws most of its drinking water. But Hecker says there's a larger problem. Florida, she says, isn't ready for the new oil drilling technologies. "We have some very antiquated oil and gas [regulations] that were written long ago when these kinds of techniques didn't really even exist or were used," Hecker says. Florida's oil and gas regulations currently make no mention of acid stimulation, hydraulic fracturing or other new extraction technologies. 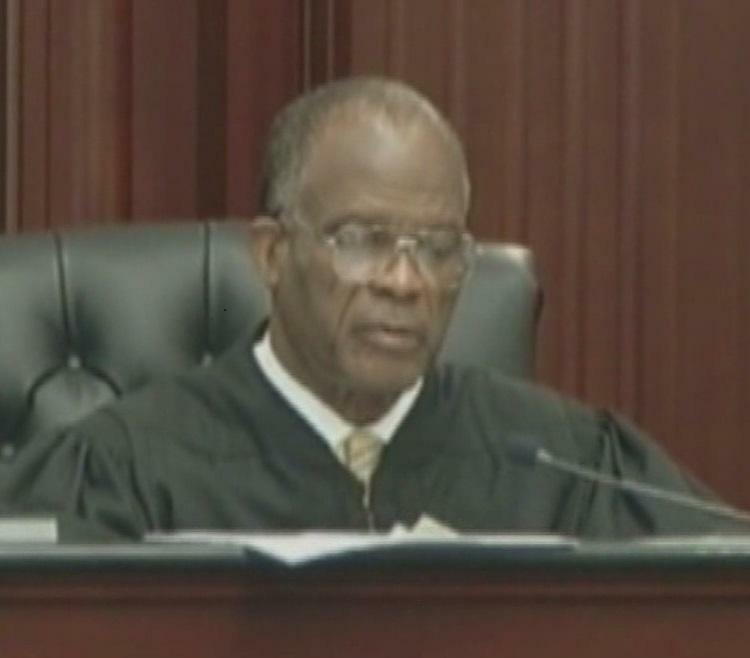 Hughes says that's why it believes its operations are allowed under Florida law. Hecker says regulators and lawmakers need to take action before approving more drilling permits. "This horizontal drilling, the use of all of these chemicals, the high-pressure injection of those chemicals — that's a whole different process than what we have traditionally seen here in Collier County, so we need to update the laws and regulations," Hecker says. On this point at least, state regulators, local officials and environmental groups agree. Vinyard says he has asked his staff to develop recommendations on updating Florida's oil and gas regulations. And I'm Robert Siegel. Armed with new drilling technology, oil companies are looking to Florida. They're returning to long-dormant oil fields near the Everglades. And one county is fighting the state in court over that drilling. Commissioners in Collier County charge that state regulations have been lax in their oversight of the new drilling methods, jeopardizing public health and the environment. NPR's Greg Allen has the story. GREG ALLEN, BYLINE: This is the site that's at the center of the dispute between Collier County and Florida's Department of Environmental Protection. Several hundred yards from where I'm standing, the Dan A. Hughes company is drilling an exploratory well. In December, Danielle Irwin with Florida's DEP says the company used an unauthorized procedure to look for oil. DANIELLE IRWIN: There are a number of different names. It goes by acidification, acidizing, acid stimulation, acid fracking, so all of those names generally are talking about that process. ALLEN: Acid has long been used in oil-drilling operations in Florida to dissolve and loosen the limestone bedrock. But the drilling operation near Naples, on the western edge of the Everglades, was something new. The acid was injected under pressure. It's a process not used before in Florida. Florida regulators asked the drilling company to suspend the operation, while the state studied the process. The company refused. HERSCHEL VINYARD: Within a matter of hours after we realized that the process was going forward, I issued the cease-and-desist order. ALLEN: Secretary of Florida's Department of Environment Protection Herschel Vinyard says, despite the cease-and-desist order, the company continued the work anyway and completed its operation. Eventually, Florida and the drillers signed a consent agreement. The company agreed to pay a $25,000 fine and install groundwater monitors. But in Collier County, where local officials, residents and environmental groups had already been raising concerns about the new drilling, the dispute between the Dan A. Hughes Company and the state remained secret. More than three months after the cease-and-desist order was issued, Collier County officials finally learned about it through a press release. TIM NANCE: One of the frustrations with the Board of County Commissioners is all of the information that we've been receiving has been through the media. ALLEN: Tim Nance is a Collier County commissioner. There have been oil wells in this area for more than 70 years. What's raised concerns now are the new technologies - horizontal drilling and advanced extraction techniques - and what risks they pose to the area's groundwater. County commissioners asked state officials for a public meeting without success. Finally, Collier County went to court asking the state to revoke for the oil driller's permit. It's similar to legal action to block fracking, taken by local governments in other states like California, Colorado and New York. In Florida, Nance says, the state needs to tighten regulation of drilling before the new oil boom goes any further. NANCE: Frankly, I'm very, very concerned about how well sites in the future that are near residential properties are going to be managed 'cause that's my number one concern. ALLEN: To try to allay concerns of county officials and residents, Florida's Department of Environmental Resources recently installed its own groundwater monitors and says preliminary results show no evidence of contamination. Jennifer Hecker with the Conservancy of Southwest Florida, an environmental group, isn't reassured. She says the state needs to install deeper monitors - below the aquifer, where Florida draws most of its drinking water. But Hecker says there's a larger problem. Florida, she says, isn't ready for the new oil drilling technologies. JENNIFER HECKER: We have some very antiquated oil and gas regs that were written long ago when these techniques didn't even really exist or were used. ALLEN: Florida's oil and gas relations currently make no mention of acid stimulation, hydraulic fracturing or other new extraction technologies. The Dan A. Hughes Company says that's why it believes its operations are allowed under Florida law. Hecker says regulators and lawmakers need to take action before approving more drilling permits. HECKER: This horizontal drilling, the use of all these chemicals, the high-pressure injection of those chemicals - that's a whole different process than what we have traditionally seen here in Collier County. So we need to update the laws and regulations. ALLEN: On this last point, at least, state regulators, local officials, and environmental groups agree. Environmental Protection Secretary Vinyard says he's asked his staff to develop recommendations on updating Florida's oil and gas regulations. Greg Allen, NPR News, Miami. Transcript provided by NPR, Copyright NPR. A new report documents concern about a lack of minority judges on the local bench.